When suffering from a chronic pain condition, everyday tasks can become daunting. Simple household changes can often help reduce or avoid pain, such as switching out a crank can-opener for an electric one or placing a chair in front of the mirror to sit down while doing hair or make-up. Medical equipment, such as splints, braces, and canes, can also provide relief. 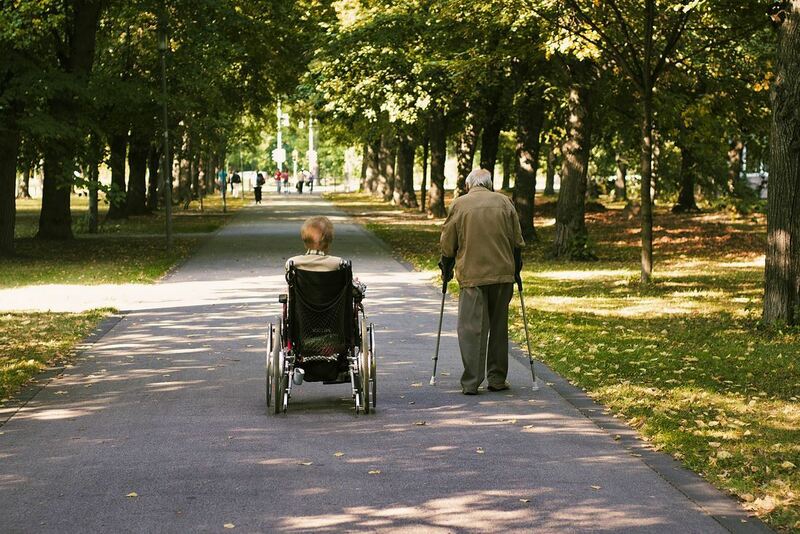 The purpose of assistive devices is to maintain or increase an individual’s quality of life. Assistive devices are intended to make life easier, and most accomplish this by removing pressure, weight, or resistance from a certain part of the body. For example, some knee braces can reduce strain on the knee joint. This can be helpful for people recovering from knee surgery or an injury, or for those with a degenerative knee condition. It can be difficult to figure out when an assistive device is called for. If an injury or surgery has occurred, an individual’s physician will often inform him or her if an assistive device is called for. However, for conditions like arthritis that progress slowly, deciding to use an assistive device can be more difficult. Generally, if pain is interfering with a person’s ability to do what he or she usually does, it’s time to discuss assistive devices with a physician or therapist. This is 1 of many reasons that it’s a good idea to visit a physician regularly. If a person doesn’t realize that he or she has given up several things because of pain, his or her physician might notice it and make suggestions. Additionally, occupational therapists (OTs) can be extremely helpful when considering assistive devices. And OT’s job is to help people maintain independence and carry out daily activities, often by suggesting assistive devices. OTs will not only inform people of potentially helpful devices, but they’ll also often know where to get these devices. Although often readily available at medical supply stores, assistive devices can be prohibitively expensive. Pharmacy stores often carry several types of medical equipment, from walkers to raised seat cushions. Medical supply stores usually carry a greater variety of brands and types of medical equipment. An internet search can usually turn up several stores that specialize in medical supplies and equipment, and some hospitals have a store onsite. However, purchasing medical equipment from these traditional sources can become expensive very quickly, particularly if an evolving condition necessitates an evolving array of devices. For example, if an individual is suffering from knee osteoarthritis, he or she might use a cane. If the condition worsens, his or her physician might suggest knee joint replacement surgery. After the surgery, the person’s physician or therapist might suggest using 2-wheel walker and then a 4-wheel walker, as well as a bath transfer bench, a raised toilet seat, and a raised seat cushion for his or her favorite chair. Together, all this medical equipment might cost hundreds of dollars, and much of it won’t be used anymore after the individual has fully healed from his or her surgery. Several resources can provide low-cost medical equipment. If someone needs a piece of medical equipment but can’t afford it, there are numerous ways to obtain low-cost medical equipment. Some programs, like the Assistance League of Denver’s Hospital Equipment Lending Program (HELP), will lend medical equipment to individuals in need free of charge, so long as the equipment is returned when it’s no longer needed. Between 2012 and 2013 alone, HELP loaned out 1,750 pieces of medical equipment. Other organizations, such as the Disabled Resource Services, will loan out medical equipment for a very low fee or, if necessary, assist individuals in locating low-cost medical equipment. The Disabled Resource Services also helps people in other ways, such as home safety assessments, job counseling, peer support, and light house and yard work. Some of the organizations that help provide low-cost medical equipment (or no-cost medical equipment) cater to a specific set of people. For example, the Kids Mobility Network specializes in helping families with disabled children. They provide disabled children with medical equipment, as well as help make sure that the children use the equipment properly. Another organization, founded in 2006, takes in medical equipment and supplies as donations. First called Rocky Mountain Medical Outfitting and Recycling, this organization is now called GoodHealthWill. It was created by a woman with a disabled child and gives people with unused medical equipment an alternative to throwing the equipment away. GoodHealthWill served 2,000 people in need of low-cost medical equipment in 2011, and that number was expected to increase to as much as 6,000 by 2013. They require no prescription or referral. The inventory at GoodHealthWill often varies, so it’s advisable to call ahead to check availability. If they don’t have something in stock, volunteers will often take down a name for a waiting list. Additionally, GoodHealthWill takes almost any sort of medical equipment and supplies as donations, and all donations are tax deductible. Do you know of any other low-cost medical equipment resources in Colorado or your area?